Make your vote count and share what ideas you have for our beautiful village! We want to hear what you would like to see in West Liberty! 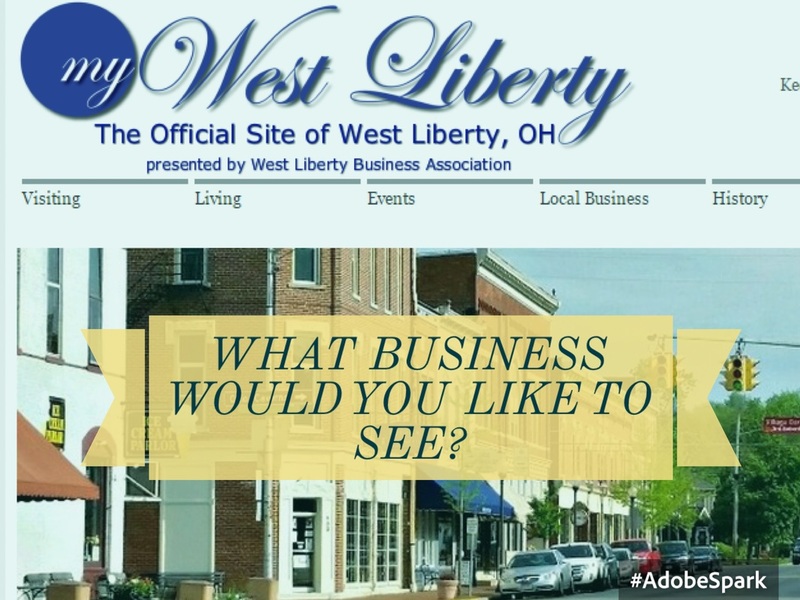 LET US KNOW WHAT KIND OF BUSINESS YOU WOULD LIKE TO SEE IN WEST LIBERTY!